Photographer’s notes: When I started this bike project, I made a small promise to myself that I wouldn’t post images of friends until I had posted 100 images of strangers. I did not want the site to become an homage to a handful of people. But I passed the 100 mark recently and my cycling friends, the people inn know on two wheels, have become game. All the better it should start like this. The bar in the photo is Barbeton on rue Dansaert in Brussels … my usual haunt. There is a small group of people who take cycling a little more serious;ly. These are the fanatics who have multiple bikes and multiples of one variety. So, not just a mountain bike and a road bike, but three road bikes, two mountain bikes, three city bikes…. 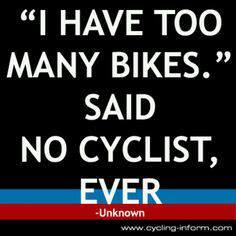 There is a t-shirt somewhere, a poster, a photo, that says, “I have too many bikes, said no cyclist ever“. These are the fanatics. 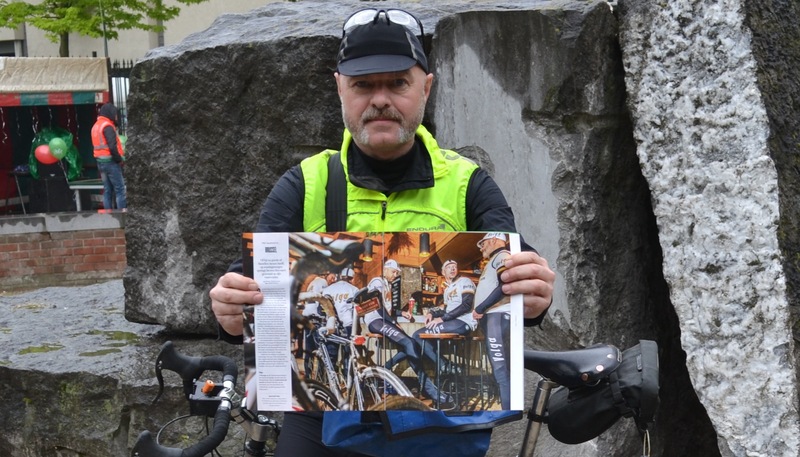 This entry was posted in advocacy, cargo bike, competitive, cycling club, Europe, roadbike, Serious, social engagement and tagged 2015, April, DeMorgen. Bookmark the permalink.